If and when you suspect that your loved one is being abused or neglected in a Georgia nursing home, we invite you to refer to this website site for information that can help you deal with the matter with best possible outcome. Although both can be equally devastating to the well-being of your loved one, there are significant differences between nursing home abuse and neglect. Abuse can be defined as handling a patient with more force than is reasonably necessary for the individual’s care, treatment, supervision or control. Such as when an employee purposefully beats or strikes a resident or otherwise touches them in a brutal or inhumane manner. Neglect, on the other hand, refers to a failure to provide reasonable and necessary services to maintain the physical and emotional well-being of a resident. Examples of nursing home neglect include not monitoring or providing a diabetic diet to a diabetic resident as ordered and failing to properly supervise a resident’s condition or behavior as expected or prescribed. What to expect if I file a lawsuit? If you file a nursing home abuse or neglect lawsuit, there are several things that will occur in the litigation process. First of all, we will go through a period called discovery. During this period, we (as your attorneys) will ask the nursing home and it’s staff questions and the nursing home, usually through their own attorney, will get to ask us some questions. After that period of time elapses, we may hire experts to review the case and testify on your behalf and, at some point, we may have to go to trial. At trial, both sides will have a chance to present their case and, at the end of the day, the jury will render a verdict either in favor of or against our lawsuit based on the evidence and the extent of the damages your loved one has suffered. How much money does it cost to hire you? It won’t cost you anything out of your pocket to hire us to represent your loved one in a nursing home abuse case. Instead, we will take a percentage of the final settlement as a fee. This fee, called a contingency fee, will be agreed upon before the case begins and is typically between 33 and 40%. For example, if we obtain on your behalf a settlement of $45,000, you will receive $30,000 and, as your attorneys, we will be paid a fee of $15,000. With regard to the legal costs and expenses associated with handling your case, we will advance these fees to you and deduct them from the settlement later. This includes court costs, the cost of obtaining expert witness testimony, and more. Because we handle your case on a contingency fee basis, you will owe us no fees unless a settlement or winning verdict is reached on your behalf. We are Schenk Smith, your Griffin nursing home lawyers. One of the benefits of hiring our law firm to handle your nursing home abuse and neglect case is that you won’t be working with a lawyer who handles divorce, DUI, and estate planning cases on the side. 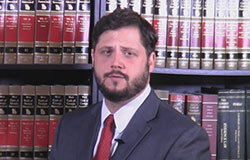 You will be working with an attorney who only handles nursing home abuse and neglect cases. Nursing home abuse and neglect cases can be very specific and complex and you want the most experienced and skilled attorney working on your case––an attorney who specializes in this area of law. After all, if you were in need serious medical attention, you would want a specialist to treat you, won’t you? The same should hold true when hiring a lawyer to represent an elderly loved one who has been abused or neglected in a nursing home facility. Whether you live in the vicinity of Griffin Museum, Indian Springs State Park, or High Falls State Park, call us to arrange a time when we can come to you and discuss the details of your case and how we can help. Nursing Home Abuse & Neglect in Griffin, Georgia- What you need to know. Griffin, Georgia is located in Spalding County and has a population of 22,875 residents. Of those, 12.90% are aged 65 and older. What are some of the categories of nursing home abuse? Willful Deprivation – willfully depriving a resident of medical care, shelter, food, clothing, a therapeutic device, or physical assistance, except when the resident is competent enough to express a desire to go without such care. Financial Exploitation – the misuse of a nursing home resident’s financial resources. Nursing home abuse and neglect can result in serious injuries such as life-threatening bedsores and pressure ulcers that are left untreated. Most bedsores are avoidable and preventable, but if left untreated, they can become fatal. What’s more, nursing home facilities know this. In fact, since the majority of bedsores are preventable, their occurrence is often a sign of neglect. Bedsores can develop in a nursing home due to a variety of causes, such as friction from the bed itself or a failure on the part of nursing home staff to reposition or move your bedridden or wheelchair bound loved one on a regular basis. Nursing homes have an obligation to turn or reposition your loved one regularly, and once they see that a bedsore has developed, they have an obligation to treat your loved one under established protocols. Who is liable for my loved one’s injuries? Unfortunately, abuse and neglect happen all too often in nursing homes across the country. But, regardless of the cause, the mistreatment of a nursing home resident is never acceptable. When a nursing home or its staff injures a loved one you have placed in its care, it is worth your time and effort to have an attorney fight to vigorously to defend your loved ones right to fair compensation for their injuries and losses. Under state law, an individual who has suffered abuse or neglect in a nursing home can sue the facility or the corporation that provides the service, as well as the facility’s administration. In addition, the injured residents can also sue the actual individual that caused the harm. This could be an administrator, nurse, or a staff member. Nursing homes are different than hospitals. Doctors typically visit regularly, but most are not there every day. The director of nursing for the facility is typically in charge of the care given to its residents, but the nursing home’s administrator is in charge of all its departments. There is often a lot of turnover with regard to those employed by a nursing home, this goes for the facility’s administration as well as its staff. So, it’s really important that you work with an experienced nursing home abuse attorney who can determine who the right parties are to hold liable for your loved one’s mistreatment. My loved one was hurt in a Griffin nursing home- What do I do next? If your loved one was severely injured or passed away at a Griffin, Georgia nursing home, then we recommend that you act as soon as possible to protect your loved one’s rights. The Georgia Department of Community Health’s Healthcare Facility Regulation division, amongst other things, oversees nursing homes, assisted living, and other residential care facilities in the State of Georgia and sets rules and regulations that establish minimum standards for the operation of these facilities. You may also file a complaint with the Georgia Office of the Long-Term Care Ombudsman, which was created to investigate and resolve complaints about Georgia nursing home and residential care facilities. The program’s mission is to better the lives of residents of care facilities through advocacy, education, and the resolution of complaints, including those related to abuse and neglect. Assault, theft, and other crimes are frequently committed against nursing home residents by nursing home caregivers who have easy access to the nation’s most vulnerable citizens. If you suspect that a crime has been committed against a nursing home resident, you have the right to file a complaint with the District Attorney’s Office: Griffin Judicial District. For abuse occurring in a Griffin, Georgia nursing home, report the crime to the City of Griffin Police Department or to the Spalding County Sheriff. In some cases, it may be necessary to remove your loved one from a problem ridden nursing home and place them in a new and safer facility. Choosing the right care facility is very important for your loved one’s well-being. But, even when a nursing home seems like a quality facility, it may still offer inadequate care, and be plagued with incidences of abuse and neglect. Therefore, the facility should always be thoroughly researched and vetted before admitting your loved one. For help with locating a good nursing home in your city, county, and state, visit the United States Centers for Medicare and Medicaid Services’ (CMS) Nursing Home Compare Website. This site compiles data on every Medicare and/or Medicaid-certified nursing home in the country and gives it a rating of one star (the lowest) to five stars (the highest). For your convenience, a list of all nursing homes located within Griffin, Georgia is located below, along with their contact information and inspection scores. All healthcare providers, including nursing homes, have a legal responsibility to maintain accurate and complete records for the benefit of their patients. These medical records are often the only tangible evidence of abuse or neglect. Without some tangible evidence, it is often difficult to prove misconduct under the law and nursing homes are aware of this. So, it is not uncommon for them to use various tactics to refuse medical record requests. Moreover, sometimes, when a facility is anticipating a lawsuit, it may preemptively alter your loved one’s medical records to weaken any case against it. This is highly unethical and illegal, but is one of the ways nursing home facilities attempt to avoid lawsuits. That being said, the strength of your nursing home abuse case will often rest on your loved one’s medical records. These records are the starting point of any investigation and will help your attorney when discussing your case with relevant experts who can say definitively whether or not the nursing home acted negligently. It is, therefore, crucial that you be authorized to access these records or be working with an experienced attorney who can assist you with obtaining them. If your loved one suffered an injury that needed medical attention in a Griffin nursing home, they were likely treated at one of the following local hospitals. Use the information provided to request medical records. If your loved one died as a result of abuse or neglect in a nursing home facility, a lawsuit can be filed against the facility to recover compensation for your loved one’s medical expenses, the pain and suffer they endured before dying, and more. This lawsuit may be brought by the personal representative of the decedent ’s estate. In most cases, this will require opening an estate through probate and having a personal representative appointed. The personal representative for your deceased loved one’s estate may be a person who has been appointed by the probate court to administer the decedent’s estate or someone who the decedent nominated as the executor his or her last will and testament. The following is a list of nursing homes facilities in the Griffin, GA area that was taken from the Centers for Medicare and Medicaid Services’ Nursing Home Compare Website and that we believe will help you in choosing a quality facility for your loved one. Our practice is devoted to nursing home law exclusively, which provides us with considerable insight with regard to the value of nursing home abuse and neglect cases. Furthermore, the fact that we restrict our practice to nursing home law, makes us more knowledgeable, experienced, and efficient than other law firms that only dabble in this practice area. We are considered by our peers as one of the top law firms in the state of Georgia and we have been voted Georgia Super Lawyers Rising Stars for advocacy in the field of nursing home law. Over the past two years, we have recovered millions of dollars in compensation through settlements and verdicts for victims of nursing home abuse and neglect and their families. We offer a no-cost, no-obligation, confidential consultation in your home or in a location that is most convenient for you. What are damages in a nursing home case? What’s the Statute of Limitations for Nursing Home Abuse in Georgia?